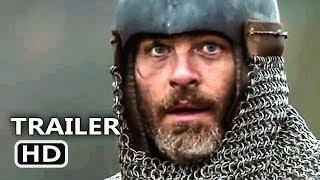 Chris Pine kicked off Toronto International Film Festival with his historical drama "Outlaw King." The actor was joined by co-stars Aaron Taylor-Johnson, Billy Howle and director David Mackenzie Thursday (6 SEPTEMBER 2018) at a gala premiere at Roy Thomson Hall. 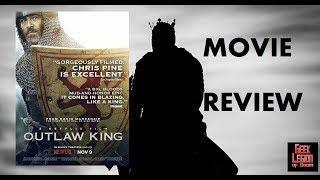 "Outlaw King" dramatizes the true story of Scottish leader Robert The Bruce who used cunning and bravery to defeat and repel the much larger and better equipped occupying English army. 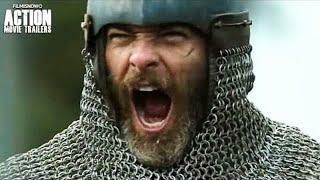 Pine plays the legendary Scotsman, and spoke of the challenge of taking on the role. "I did my due diligence and read as much as I could about this guy, and tried to figure out what he was doing and where he was coming from. Obviously, there's not a lot of extant material in terms of, you know, the 'Bruce' memoir or poetry or psychoanalytic research and all that. You kind of have to make some, some guesses and extrapolations. But I kind of relish the challenge of figuring out a very, very complicated guy," Pine said. He added: "It's interesting when the kind of two dimensionality that can appear on a page all of a sudden becomes a really multi-dimensional human being that you realize just because he lived seven hundred years ago, he's still a guy like us." 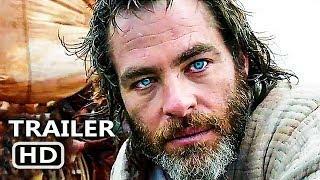 Pine, known for playing Captain Kirk in the rebooted "Star Trek" franchise, saw similarities between Captain Kirk and Robert the Bruce. 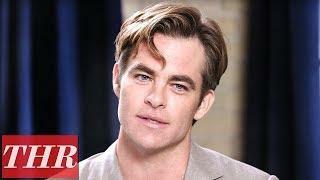 "What I did notice was that as a leader of men, maybe more so in this, because I wasn't of their – of the culture," Pine said. But the bigger task was convincing an audience that he was a 14th century Scotsman. "I wasn't born there, and obviously the Scottish people. I can't speak for all of them, but obviously there's a strong desire for independence. So, there's a vested kind of national interest in it. When you walk out onto a set playing a hero of theirs being an American from Los Angeles asking them factiously to go into battle, you know, you better try and make them believe it, even if it's fake. So, I got a lot of help I think, maybe from that existential pressure on the day, rather than some sort of conceptual thing. I just had to look at, you know, people with some pretty mean looking beards holding, you know, axes, and ask them to go fight. I have had to believe it myself." The story takes place in Scotland, at a time following another true story of a Scottish warrior. That being William Wallace, portrayed by Mel Gibson in the 1995 film, "Braveheart." But director David Mackenzie sees his film as part of a different conversation from "Braveheart." "That was a film it was made a long time ago. It's a very different style of filmmaking. You know, it's not really of relevance to me. I haven't seen it for a long time, even, so I don't sort of - it's not part of my landscape in terms of in terms of thinking of the film," Mackenzie said. Produced by Netflix, the film will be available to stream on November 9. The 43rd Toronto International Film Festival runs until 16 September.